Votaw Electric: "HARDWIRED TO SERVE"
Votaw Electric is an electrical contractor providing installations and design build, electrical contracting, communication cabling, control systems, and power quality services, serving commercial, industrial, institutional, and healthcare customers in Northeast Indiana, Northwest Ohio, and Southern Michigan. With over 40 years of experience in electrical contracting, we provide complete integrated power solutions to general contractors, construction managers, architects, and directly to owners through plan & specification, design-build, design-assist, and other project delivery methods. 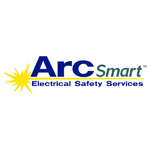 As a merit shop, Votaw Electric is a member of the Associated Builders and Contractors (ABC).